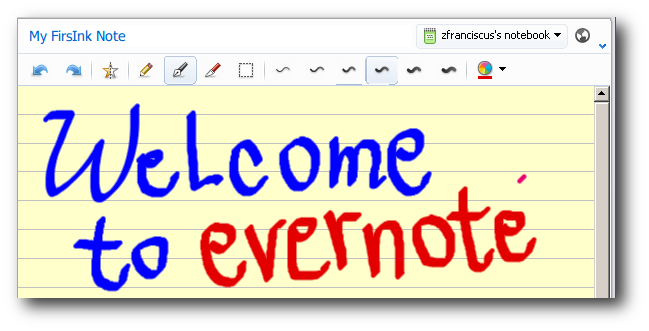 Evernote is a great application for taking notes and having them available virtually anywhere—except for Linux, sadly. Here’s how to get the Windows client working in Ubuntu using Wine. 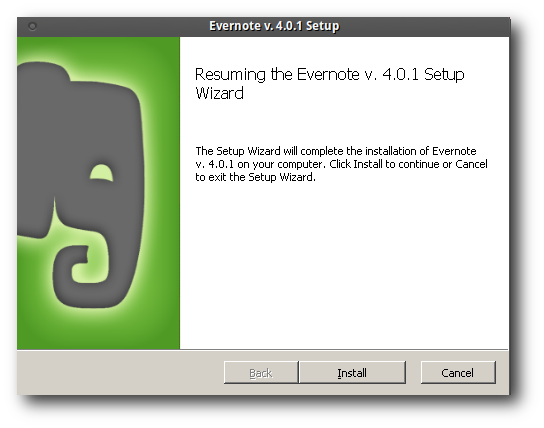 There are a couple of things that we need to have before we can install Evernote in an Ubuntu box: the latest Evernote installer for Windows and Wine 1.3 or better. 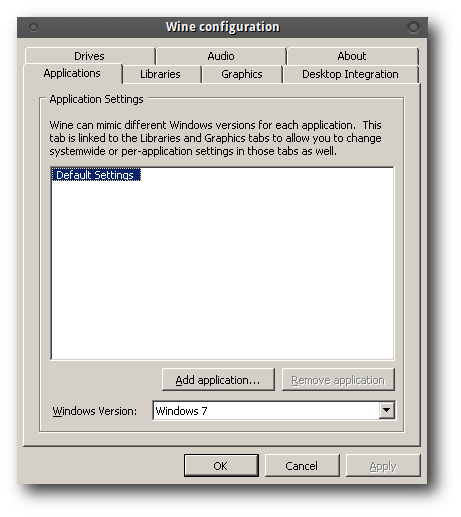 Wine is an open source software for running Windows applications on other operating systems, which means we can get our hands on many good Windows applications even while running Ubuntu on our PC. We need to get the latest Wine release to run Evernote on our machine, so run the following command in sequence on your console to do so, remembering to press “Enter” to execute each command. Ubuntu will place Wine under “Application” > “Wine”. We managed to install Evernote 4.0 by configuring Wine to emulate Windows 7 settings. Click “Install” to go through the installation process. Evernote will ask you to sign up for an account if you do not have an account with Evernote. We are at the last installation screen and hopefully you have not encountered any error so far. Click finish and you’ll have Evernote running on your Ubuntu box. 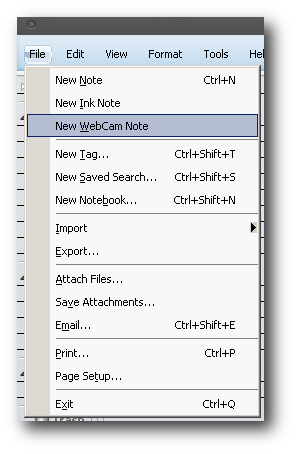 Let’s create a note by clicking on the “New Note” menu from the “File Menu”. Evernote will give you a blank editor for you to put together a note. Evernote’s editor allows us to put together pictures and text in every note. Or use an ink note to write down our notes. 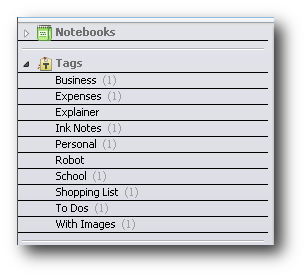 Tags are useful to organize our notes into groups of notes to help us prioritize our tasks. For example here we have one note under To-Dos, which we will look into first before we go into the rest of our notes. Evernote supports multilevel tags which mean we can put a tag under another tag. This can be useful, however we always try to keep a maximum of two level of tags. Anything more than that will ended up cluttering our notes, and makes it difficult for us to see all the tags in a glance. 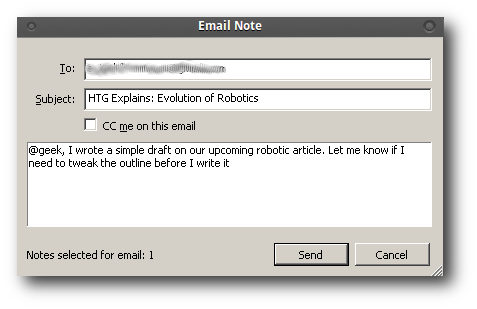 You can email your notes to others for review once you have finished drafting your ideas. Most importantly we can back up our notes to Evernote online storage by clicking on the “Sync” button so we can access our notes virtually anywhere from the web. Web Clipping – was not installed into our browser in Ubuntu when we install Evernote unlike when we install Evernote in Windows. 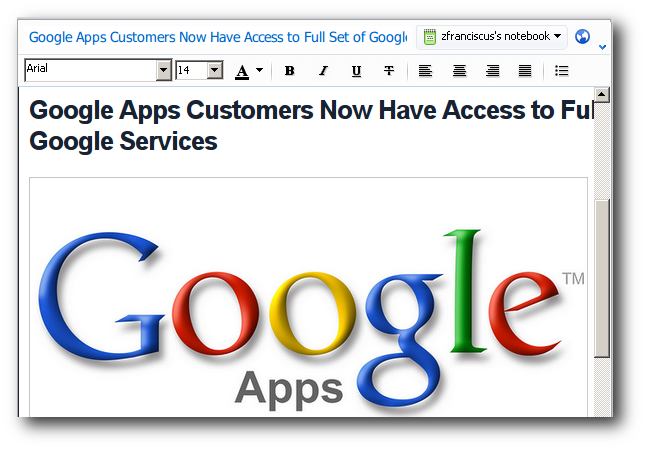 Web Clipping is a very useful add on that automatically put clippings from the web into our notes. 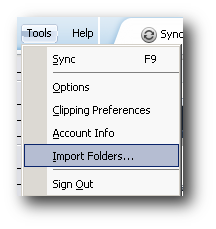 Import Folder is another great feature in Evernote that we will miss in Ubuntu. Evernote’s import wizard allow us to automatically import the content of any text, audio, images, and PDF’s into an Evernote notebook from a designated folder in our computer. Evernote’s Text Encryption, hides sensitive information using a simple encryption tool that keep our nosy friends from snooping our notes. 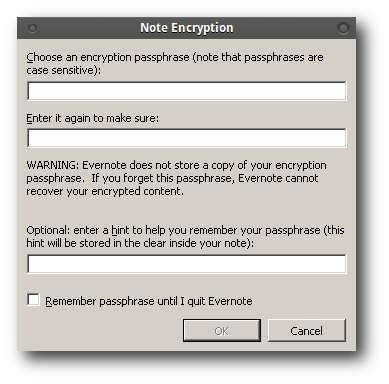 The passphrase will never be sent to the web when we upload our notes to Evernote online storage. 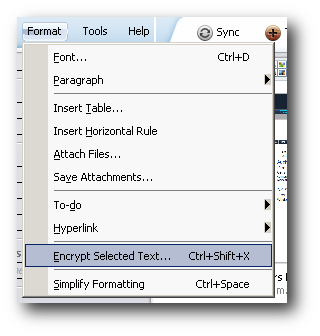 This will guarantee that the encrypted text can only be decrypted on our computer. While we are very excited to get Evernote running on our Ubuntu box, we can’t deny the poor performance that we are experiencing with Evernote. We are quite fortunate that some very clever guys created NeverNote which is a clone of Evernote. 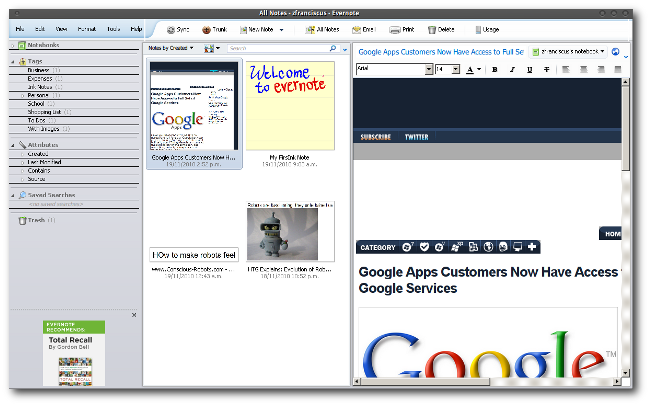 Nevernote is written in Java which means that NeverNote can run on different operating systems. 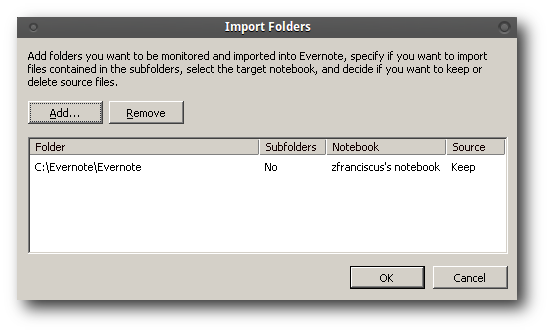 Nevernote almost has everything that Evernote has. It has an online storage,tags, attributes, everything running within Nevernote. The things that NeverNote do not have are ink notes and a thumbnail preview of our notes. That’s all we have for today. Please share your experience using Evernote or NeverNote to organize your ideas with the other fellow readers.